Welcome to my Website, all about the Tropical Seashell Treasures of Florida. 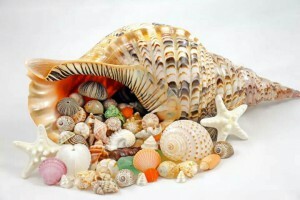 Seashells are truly a Treasure, they are some of nature’s most beautiful works of art. 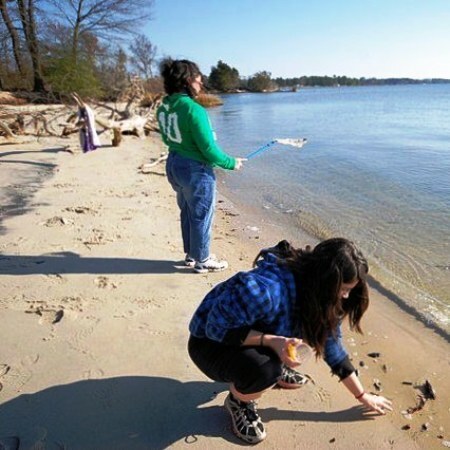 Few people who wander along the beach, whether young or old, can resist picking up the shells they find. The greatest pleasure and satisfaction in collecting seashells, come from finding out about the life of the animals as well as, collecting the beautiful shells. You have probably spent many happy hours searching for and watching the habits of the living Mollusca, in their natural surroundings. Throughout this website, I will be helping you get all the information you will ever need, about the Tropical Seashell Treasures of Florida. We will be covering the following, within the pages and posts of my website. You can find the images and descriptions of the Seashells in Florida under the Seashells page. I will also be posting the fun I have by sharing my beachcomber stories. I would love to hear your stories as well. 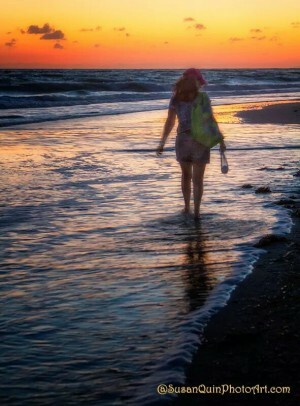 Please feel free to share your comments, thoughts, adventures and images of all the fun you have, as a curious beachcomber below. Thank you for visiting my site and I hope you come back often. If you like my website, please follow me and I will keep you updated on all the information, of the wonderful world of Seashells. Isn’t the Ocean paradise!!! I love to scuba dive, but have not been able to since I got sick. I should be able to go in another year. I cant wait. I will be working on getting all the Florida Seashells pages up and running this week. I love the ocean and I used to scuba dive. Its a whole new and different world below the water’s surface and it was wonderful. I’ll be back soon. I look forward to it. Scuba Diving is my greatest passion as well as hunting for Seashells. I will be posting about Scuba Diving for Seashells in a future post. As you know my website is under construction. I am adding more to it everyday. Thanks for the comment. I hope you will follow me. Thank you Juli. I hope you will continue to visit my site, during my construction process. I will be posting all the seashells of Florida and their information shortly. 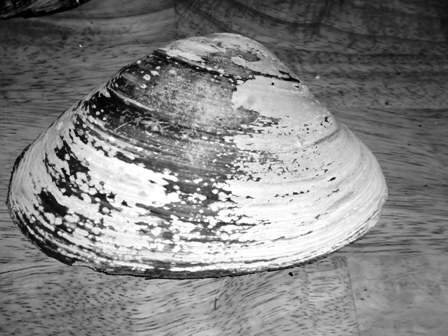 I love your talk about all of the shells and shorelines, they are beautiful and they make me homesick. While I did not grow up near Madeira Beach I lived in the Tampa Bay area for about 11 years. So I do know it, and most of the other beaches north and south on the St Pete/Clearwater coast. I also appreciate the scientific aspect of the shells you speak of. Hi Gary, it’s nice to know that someone within WA knows where I live, since it is such a small town on the barrier island. Thank you so much for posting a comment on my website and for your kind words. I hope you come back often to see my progress on building this website. I will start adding the seashells with their information next week. I know i have a long way to go, but i am loving every minute, learning and gathering information. Such a beautiful website, it’s looking so good! Looks like sea shells in the Bahamas. Did shell surfing all my younger days. Seashell Artwork Shop up and running. Thank you for visiting my website Mark. I hope you come back often to see my progress on building this website. I will be adding a picture of the Tropical Seashells of Florida with there description and scientific names as well as were they are commonly found. I will also be setting up a shop with the Seashell Artwork that I make. Again thank you visiting. I look forward to any comments, feedback, suggestions or any of your own stories from your beachcombers days. Hi Kinda, your site is incredible! My mother & daughter used walk down Myrtle Beach S.C. picking up sea shells really brought back good memories. Thank you for visiting Tropical Seashell Treasures. I am glad I brought back good memories, of your Mother and Daughter picking up seashells. I hope you will come back again soon. This is a work in progress. I will be adding new information daily, as well as a shop for my Seashell Art that I make. I am always the one running around on the beach looking for the shells hoping to find a cool one. I look forward to your article on Guide for the curious beachcomber to get shells. Thank you so much Chris, for visiting my site. I remember when I was little I was always the one running around getting seashells. They just amazed me. I’m hoping to get all my sea shells with their descriptions up soon for everyone. I am switching internet providers and won’t have internet access on my computer for a week. So please be patient and then I will be working like a mad woman, so I can share all this wonderful information about seashells. Kinda, so proud of you. Your sight is really coming along. I love the comments. All the best to you and your endeavors. As promised, stopping by! SEA you’re already having fun with beautiful photos & info. Best of luck. Thank you so much, for coming back to visit my site. I have had no internet for two weeks and have not been able to to add all the seashells of Florida yet. The good news is I got my new internet carrier installed last night. It was a total nightmare getting them here. I had three appointments for installation, but they kept getting the orders set up wrong and their computer cancelled them. I finally got someone to get it done right and now am up and running. I’m so excited. I will be working as fast as I can getting 139 seashells, posted to the seashells page. Please come back again next week to see my progress. Dropping in for a visit! I look forward to seeing your site develop. I hope to get back to Sanibel and the Gulf soon! Thank you for dropping buy. I had no Internet for two weeks, so I was not able to post all my seashells yet. I finally have my internet back, so I will be posting 139 seashells of Florida. I have been working on cropping and resizing the Images, for the past couple of days. Come back soon, to see the progress I have made. When you get back to Sanibel, we should get together for lunch and some shelling. Maybe you could show me the best beaches to get the big ones. Thank you. I am working on the seashells right now. I have to crop, resize and compress 139 seashell pictures and add the description and information. I have a goal set to add 5 posts a day on the seashells pages. Thank you for commenting on my site. Please come back often to check on my progress. Thank you so much for visiting my site. I am so sorry I thought I replied to you a couple weeks ago before my internet went down. I was just going thru my comments and notice there was no reply to you. My grandmother would collect stones everywhere we went. She had a great collection. I bet your husband has a great collection as well. You should post a picture of his stones on your profile page, if you have not already. I hope you come back often and see my progress. I could really use some advise from you. You are so knowledgeable. I am working on the seashells to post on my Seashells page, right now. I have to crop, resize and compress 139 seashell pictures and add the description and information. I have a goal set to add 5 posts a day on the seashells pages, starting this weekend. Thank you Sweetheart. I love and miss you. I really enjoyed your site. I wanted to check out the craft page but it looks like it is not ready. I will come back. I am interested in looking into the crafts. If you would like to chat about it sometime drop me an e-mail at the address here. Awesome what you have done so far and good luck on thre rest. Thank you for visiting my website. Sorry that I have not completed the Seashell Craft page yet. I am currently working on building the images of the Seashells with the information and descriptions. I will be setting up and selling my Seashell art the I make after I finish the Seashell Images. If you would like I can let you know when I get started on it. 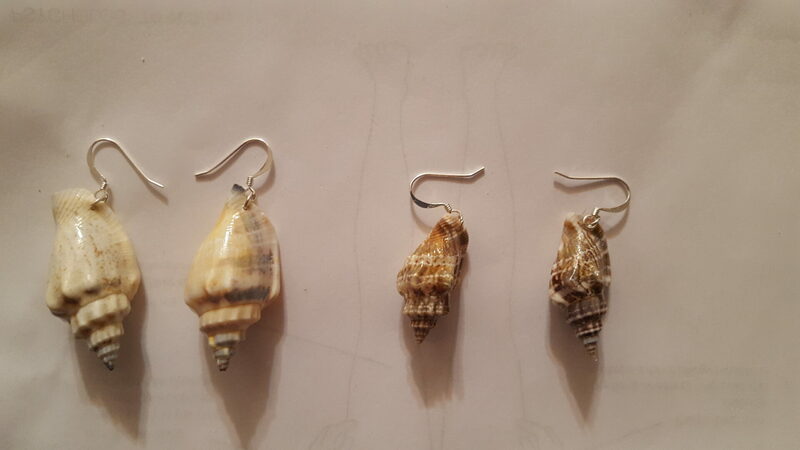 I hope you come back often to my website TropicalSeashellTreasures.com to see the progress I make adding all the Seashells of Florida with the description and information for each shell. Thank you Jenna, for your kind words and visiting my website. I hope you come back soon and check on my progress, as I will be putting all the Florida Seashells with their information and description, on my Seashells page. I am also going to be adding a Seashell Craft Shop to sell my Seashell Art, that I hand make with the seashells I pick up, along the beaches of Florida. I am hoping to research and help people get lots of information and be able to learn from my research and experiences. Maybe you could help me get a group started, for people to interact with telling there beachcombing and Seashell adventures, on my website. As well as the images of the Shells they find and talk about anything Tropical. ( LIKE TRAVELING TO ALL THE BEAUTIFUL TROPICAL BEACHES OF THE WORLD AND FINDING THAT ONE OF KIND SHELL, THEY ALWAYS DREAMED ABOUT GETTING ). It was great hearing from you. See you soon! You are very welcome, and thank you for visiting me. I am currently working on 139 Images of the Seashells on the Florida beaches. I will be adding them soon. I hope you will come back and visit to check on my progress. It is a work in progress on pages and posts. I am also going to be adding a discussion plug-in, so people can interact with each other about Seashells or anything Tropical. I think it would be fun to have other people post there Beachcombing experiences or Tropical Destinations they have gone to. What do you think? Should I include a discussion board on my website. Thank you for visiting my website. I have also looked at yours and really like the Seashell Crafts Lovely Ideas posts. I have shared your website with my G+ page followers. I look forward to seeing more DIY Seashell projects. You have some great idea’s, that I am going to do. I am currently working on 139 Images of the Seashells on the Florida beaches. I will be adding them soon. I hope you will come back and visit to check on my progress. It is a work in progress on pages and posts. I am also going to be adding a discussion plug-in, so people can interact with each other about Seashells or anything Tropical. I think it would be fun to have other people post there Beachcombing experiences or Tropical Destinations they have gone to. That collection of shells I love. Thank you. Thank you. My website it slowly but surely a work in progress. I am currently working on a hundred and thirty-nine seashells that I will be adding the information on description as well as the image of each shell in Florida. I also will be adding an e-commerce store to sell my handmade seashell art on my photography prints. Best wishes and happy shelling. Have a shellastic great day. I would like to know when you will have your store ready to sell your Seashell Artwork? Looking forward to being able to buy Seashell Cross from you. The Seashell Cross’s you make are so beautiful and the quality is excellent. Thank you for your kind words about my Seashell Cross’s. You can get my Seashell Cross from my facebook page until I get the store open on my website. I have had some health issues, so have not been able to get my website store completed as soon as I wanted to. I will be working on getting the store open in April. I am also going to be adding some great content and images about my beachcombing travels and Seashells. It is true seashells bring me wonderful memories of the beaches back in Tonga. Florida beaches look amazing and the shells you show are gorgeous, I would love to visit these beaches some day. Thank you, most of the images on Tropical Seashell Treasures are taken by me. I love to photograph all the BeachSide destinations I travel too. The beaches in Florida are truly amazing, I love to explore the beaches wherever I go, exspecialy the ones that have lots of Seashells. My favorite beach in Florida is on Sanibel Island. The Seashells pile up in big mounds, I will sit on a mound of Seashells for hours and look for my favorite ones. I hope you will be able to come visit more of the beaches in Florida, someday soon. Come back and checkout the new posts I will be adding to the Website, as well as Images of the Seashells of Florida. I will also be adding a community blog forum, so people will be able to talk about there beachcombing exsperiances.